Dr. Chiu prides himself as a pioneer in the mental health field of carer advocacy. The Family Link mental health psychoeducation program he launched has benefited several thousands of carers in six different Asian countries/cities (i.e. Hong Kong, Malaysia, Taiwan, South Korea, Thailand, and Philippines). He was formerly the Chief Editor for the Hong Kong Journal of Social Work, and the Asia Pacific Journal of Social Work and Development, and is currently a member of the Editorial Committees of six peer-reviewed journals. Before joining CityU, he was the Graduate Coordinator and the Deputy Head of the Social Work Department of National University of Singapore. He is an honorary fellow to a number of research institutes. He earned his Masters of Science and Doctoral Degree in mental health social work, from the Victoria University of Manchester respectively in 1991 and 1995. He is a teacher, practitioner, and researcher and has close affiliation with mental health service providers in Hong Kong and Singapore. He has been an old comrade who has rendered his faithful teaching and services for more than 25 years. Jun 2016 “Excellent Research Award Grant” ODPRT, National University of Singapore. 2012 - 2016, Associate Professor (Tenured), National University of Singapore. 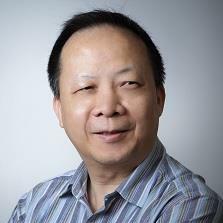 1997 - 2012, Asst, Associate Professor, Hong Kong Baptist University. 1996 - 1997, Lecturer, Hong Kong Polytechnic. Empowering Caregivers of People with Schizophrenia: Comparing Intervention Effectiveness of Family Link Education Programme (FLEP), Narrative Practice Group (CNGP) and Integrative Pee, UGC/FDS15/M01/15, UGC, Amount: HKD $849,850, 2016 - 2017, Ruth Zhou (PI), Marcus Chiu (Co-I). 2017 - Now, Board Member, Stewards (Hong Kong).Hong Kong. Jan 2017 - Dec 2017, Department Strategic Planning Committee, Member. Jan 2017 - Now, Research Degree Programmes, Coordinator. Jan 2017 - Now, Research Degrees Committee, Chair. Chiu, M.Y.L., Ghoh, C.S.N., Chung, G., Choi, K.P. (in Press) Multistressed families in Singapore: A focus on transnational families. Children and Youth Services Review. DOI: 10.1016/j.childyouth.2019.04.014. Tan, C.H.S., Chiu, Y.L.M., Leong, J.Y.J., Tan, L.Y.E. (2019) Social inclusion among mental health service users: A reliability test of the Mini‐SCOPE Scale. Journal of Clinical Nursing, 28:1847–1855. DOI: 10.1111/jocn.14798. Balwicki, L., Chan, K., Huxley, P.J., Chiu, M.Y.L. (2018) Applying SCOPE to Measure Social Inclusion Among People with Mental Illness in Poland. Journal of Psychosocial Rehabilitation and Mental Health. DOI: /10.1007/s40737-018-0113-5. Chiu M.Y.L. (2018) Familization of Indonesian Domestic Workers in Singapore. In: Ogawa R., Chan R., Oishi A., Wang LR. (eds) Gender, Care and Migration in East Asia. Series in Asian Labor and Welfare Policies. Palgrave Macmillan, Singapore, pp.97-116. Ho, S.C., Ho, R., Chiu, Y.L.M. (2017) Global Prevalence of Elder Abuse: A Meta-Analysis and Meta-Regression. East Asian Archives of Psychiatry, 27(2): 43-55. Chan, K.K.W., Chiu, Y.L.M., Evans, S., Huxley, P. and Ng, Y.L. (2016) Application of SCOPE-C to measure social inclusion among mental health services users in Hong Kong. Community Mental Health Journal, 52(8): 1113-1117. DOI: 10.1007/s10597-015-9907.z (IF:1.111). Teo, P.L., Chiu, M.Y.L. (2016) An Ecological Study of Families in Transitional Housing-'Housed but not Homed'. Housing Studies, 31(5):560-577. DOI: 10.1080/02673037.2015.1106064. First online 12 Jan 2016 (IF:1.309). Ho, T.W., Guo, Y.Q., Chiu, M.Y.L., Chen, S., Zhao, Y. (2016) Spatial Illustration of Healthcare Workforce Accessibility Index in China—How Far Has the Healthcare Reform from 2009 Brought Us?. Australian Journal of Rural Health, 24(1):54-60. doi: 10.1111/ajr.12198. (IF:1.343). Huxley, P.J., Chan, K., Chiu, M., Ma, Y., Gaze, S., Evans, S. (2016) The social and community opportunities profile social inclusion measure: Structural equivalence and differential item functioning in community mental health residents in Hong Kong and the United Kingdom. International Journal of Social Psychiatry, 62(2): 133–140. DOI: 10.1177/0020764015607550. Chiu, M.Y.L. (2012) Recovery and advocacy: contextualizing justice in relation to recovery from mental illness in East Asia. In Rudnick, A. (ed). Recovery of People with Mental Illness: Philosophical and Related Perspectives. Oxford University Press, pp.279-303. Ho, W.W.N., Chiu, M.Y.L., Lo, T.L., Yiu, M.G.C. (2010) Relevancy and Challenges of Recovery Model: a primer review. Hong Kong Journal of Mental Health, 36(2): 50-63. Chan, T.M. Simon, Chiu, W.S. Sammy, Chiu, M.Y.L. (2010) One Country Two Cities: Comparison of the Perceived Cohesion in Guangzhou and Hong Kong. In K.H. Mok & Y.W. Ku (Eds.) Social Cohesion in Greater China: Challenges for Social Policy and Governance. London: Imperial College Press and World Scientific, pp121-146. Chiu, M.Y.L., Winnie W.N. Ho (2009) Mental Distress and Internal Stigma in Seeking Professional Help among Women of Tin Shui Wai. Hong Kong Journal of Social Work, 43(1):67-76. Chiu, M.Y.L. (2004) Why Chinese Women did not seek help: a cultural perspective on the psychology of women. Counselling Psychology Quarterly. 17(2): 155-166. 1. Chiu, M.Y.L. & Davidson, L. (Eds) (2014) Special Issue: Recovery-Oriented Practices in Mental Health – Experiences in Asia and Oceania. Asia Pacific Journal of Social Work and Development, 24(1-2), 125 pages. 4. Chiu, M.Y.L. (ed) (2005) Days after Tomorrow – Teenage Suicide Prevention Manual. Mental Health Association of Hong Kong. 7. Chiu M.Y.L., Wong, V.C.W., Chiu, S.W.S., (ed.) (2003) Empowerment: New Social Work Perspectives. Taiwan: WuNam Press, p368. (in Chinese).